James R. Ranz, age 91, of Wilmington, died Tuesday, April 9, 2019 at University of Cincinnati Medical Center. He was born January 4, 1928 in Cincinnati, Ohio the son of the late Stephen and Kate Gruber Ranz. Mr. Ranz was a veteran of the United States Army serving during WWII. He was a Registered Engineer and had retired as Chief Design Engineer of the blower division of Phillips Industries. 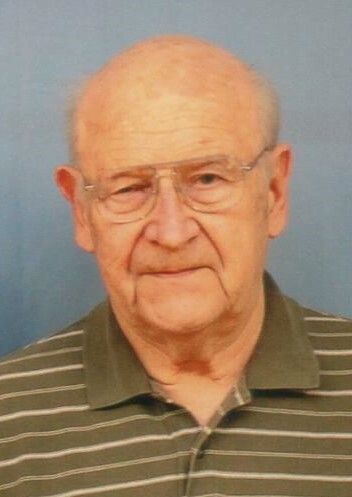 He was a graduate of Wilmington College, a member of First Christian Church Disciples of Christ, Clinton County Amateur Radio Association, and a former member of the Woodworkers Club. One of his proudest accomplishments was the designing and building of the Singing Christmas Tree for the Wilmington Church of Christ. Retirement years were filled with traveling and volunteering. Among the many places he volunteered were the Christian School where he tutored math and science, The National Weather Service where he worked as a HAM radio operator, he also spent time volunteering at Clinton Memorial Hospital, Cape May, and several local churches. Using his HAM radio, he made weekly contacts with missionary families in South America, often “patching” them to families in the United States by telephone. Mr. Ranz is survived by his wife, Trudy (Gammon) Ranz, to who he married July 8, 1953; and children, Douglas, Elaine, and Karen. Graveside funeral services will be held 1:00 p.m. Friday, April 12, 2019 in Sugar Grove Cemetery. Rev. Dr. Tom Stephenson, of First Christian Church, Disciples of Christ, will officiate. Military Honors will be accorded by the American Legion Post 49 Honor Guard. There will be no visitation. Memorial donations are directed to, First Christian Church, Disciples of Christ, 120 Columbus Street, Wilmington, Ohio 45177, or the Clinton County Amateur Radio Club, P.O. Box 222, Martinsville, Ohio 45146-0222. The Brown Funeral Home, Wilmington is serving the family. For more information, or to sign our on-lune register, please visit www.arehart-brown.com or see our Facebook page, Brown Funeral Home.